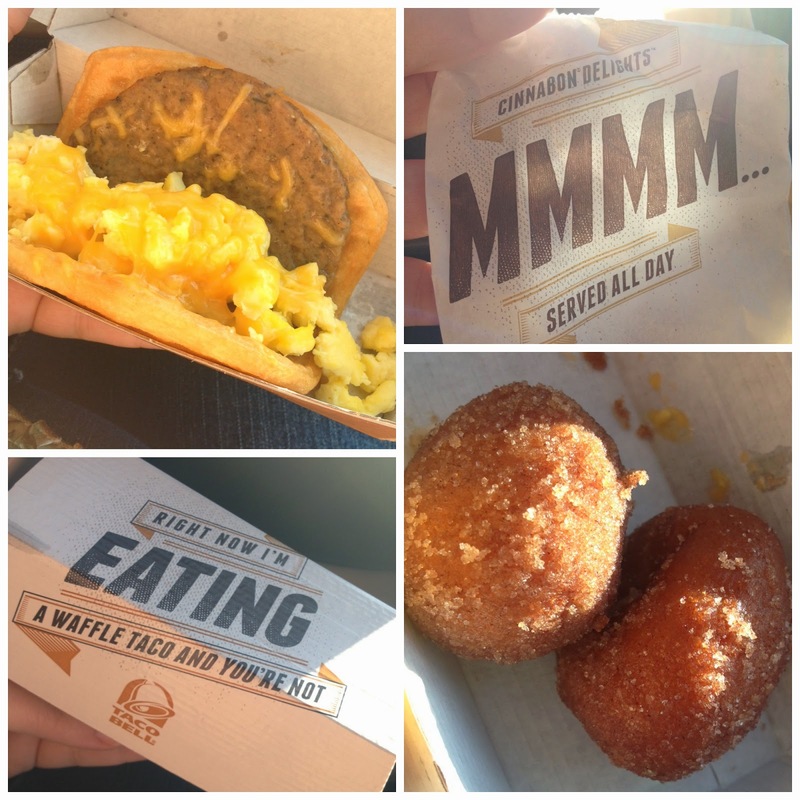 Restaurant Review: Waffle Showdown: Taco Bell vs. White Castle | The Food Hussy! You've seen culinary battles before - they're all over television. 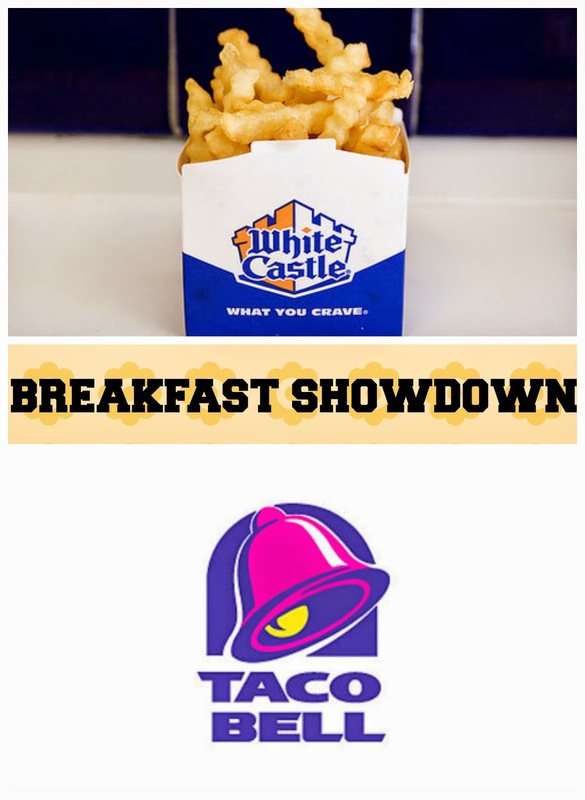 Well this culinary battle is a showdown of the ages: TACO BELL VS. WHITE CASTLE!!! Yes - the time has come!!! Really? Well they're both selling waffles for breakfast and I had to try them. First up - Taco Bell. Larry has been going on and on about that damn waffle taco. Now granted - he can't eat it (egg allergy) but his nagging got the best of me. The waffle taco meal comes with potatoes or a couple Cinnabon Delights. That said - the Cinnabon Delights were delish! I'd have those again in a hot minute. By reco of a Food Hussy friend, I tried the Chicken & Waffle at White Castle. I meant to try the sausage/egg/cheese waffle and by that I mean I ordered the sausage/egg/cheese waffle - but I was given the chicken/gravy waffle. I'm a trooper though - and went with it (I was on my way to work - what was I going to do? This waffle was MUCH better - and I think it has syrup in the waffle (similar to McD's and their McGriddle). The chicken & gravy was fine - a little odd with the sweet flavor of the waffle. Why Should You Go? 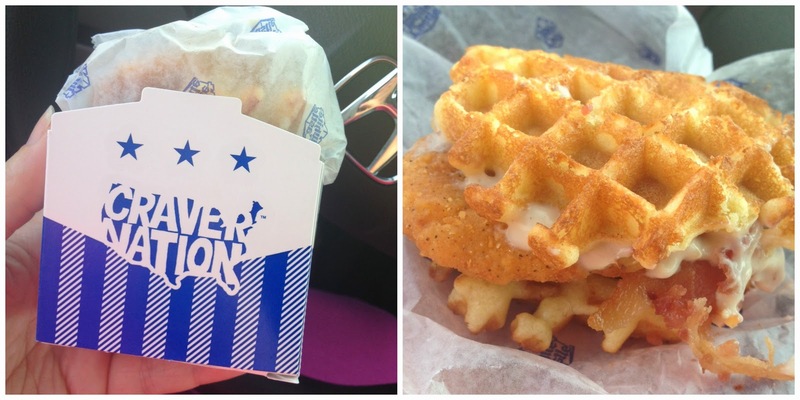 No question - hands down - White Castle's waffle wins this showdown! It wasn't even close. I actually ate the one from WC - whereas Taco Bell - um no. So Whitey's does it again. And I can say - their regular breakfasts are great! My favorite is a bacon/egg/cheese slider - no preformed eggs here - real cracked eggs.